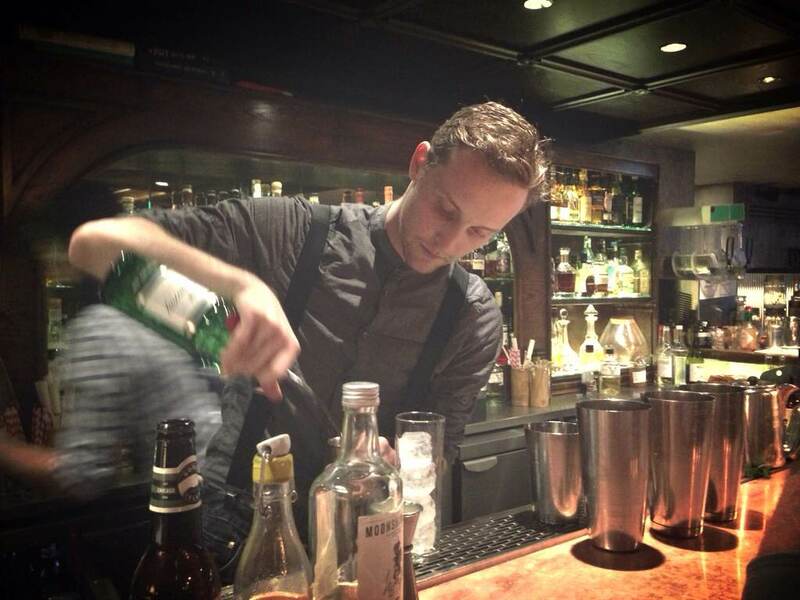 My name is Jacob Van Hemessen and I started bartending 4 years ago, pulling beers in dive bars in Canada. Slowly I discovered cocktails and fell in love with the whole industry. There is not as big a cocktail scene in Canada as there is in London, so ended up here, got lucky with this job and now i’m at the Blind Pig in London. It’s all about atmosphere, humble and unpretentious. But I like anything from the glitz and glamour of Artesian to The Portobello Star, which is really laid back. Right now it’s whisky, especially scotch whisky. The more my palette has refined, the more I appreciate it. The product I want to highlight is probably hops. Because it’s not really used for anything other than beer, but it has a lot of interesting floral, spicy and citrus notes to it, that i really, really like. The way you can play around with that in cocktails, I think is really cool. Guillermo González and Laura from Hiding in Plain Sight in Amsterdam. The bar is really, really cool and they’re doing a lot of cool stuff there.